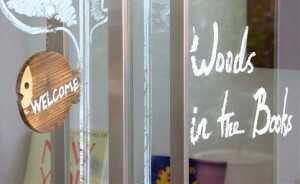 Woods in the Book is located in 58 Club Street. They especially offer picture books for all. You will surely enjoy the illustrations, pictures and graphics. They also sell popup books like Red Riding Hood and Little Prince and many comic books. Kinokuniya is located in Orchard Road, Victoria Street and River Valley Road. It is located right at the heart of Singapore’s shopping district. It sells a lot of books from Chinese to German, English and French. 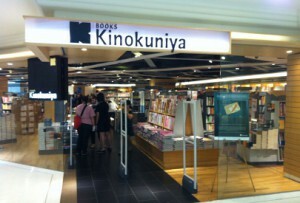 Kinokuniya is a Japanese bookstore and its store in Singapore is considered the biggest outside Japan. 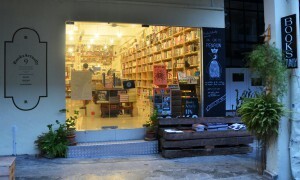 BooksActually is located in Yong Siak Street. The bookstore presents literature and fiction books including journals, poetry, essays and other works. You can find many types of stationery here. 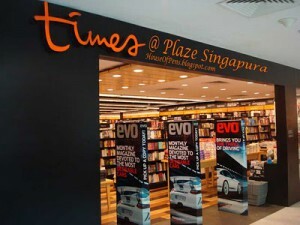 Times Bookstore have branches in Jelita, JCube, Tampines, Marina Square, Centrepoint, Plaza Singapura and Paragon. They offer variety of English Books. You will see fiction, non-fiction, lifestyle and children’s books. 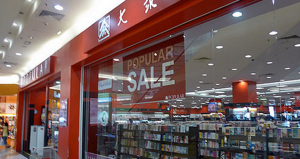 Popular bookstore is located in Tiong Bahru Plaza, Somerset 313 and Bras Basah Complex. This bookstore is considered the leading bookstore in Singapore. It houses different books from nonfiction to fiction, children, secondary and college and many more. Prices are reasonable. There are other bookstores that offer cheap books and magazines. Happy reading! Following the gradual ‘value shift’ in companies’ focus on labor-intensive production and manufacturing to improving their design, marketing and distribution efforts, and providing better service to their consumers, companies which had done the latter are taking a bigger slice out of the profit pie in the market. Most of these firms which had not responded fast enough to this shift are however, with the exception of Japan and Korea, Asian firms. This could be due to Asia’s roots in manufacturing and hence low-margin profit. A general unwillingness to aspire to be brand-owners also deters the efforts of Asian firms. In addition, the managerial style of ‘top-down’ system of many Asian companies do not promote new ideas coming from the lower management levels of the company, which may be deemed useful for its branding purpose. As much as these Asian firms want to ride on this shift, they face much difficulty, as branding is an ongoing process and change would not be fast. Apple, stresses on a thorough customer end-to-end service experience- a step more than just being a service provider. This enabled it to create a unique branding and hence excel. 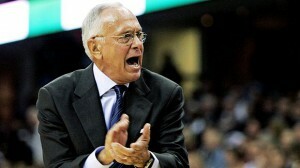 Therefore, there is a need for Asian firms to learn on this attribute which Apple possess. On the other hand, some firms improve on its reputation by taking over other brands to enhance its own. For example, Lenovo’s acquisition of IBM’s personal computer division, Tata Motors’ acquisition of British automotive icons Jaguar and Land Rover, and Geely’s recent take over of Swedish Volvo from Ford. However, Samsung, an Asian firm, had successfully branded itself after having gone through a long process of research and development to find out its consumers’ needs and wants. This shows that with enough time and resources, Asian firms can actually learn from their Western counterparts to build powerful brands.